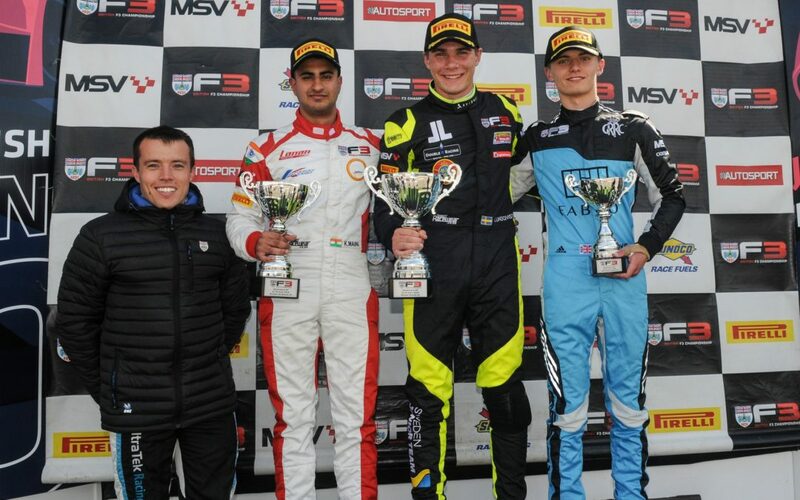 BRDC British F3 Championship, 2018. 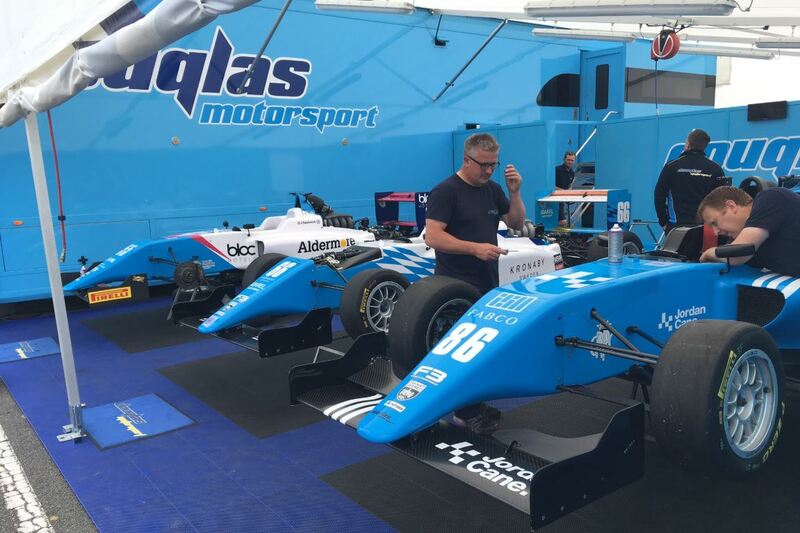 After a tough weekend at Snetterton last month, Silverstone was the venue for rounds 10, 11 and 12 of the BRDC British F3 championship. Things started well in Friday practice, when Jordan Cane and Jamie Chadwick were 2nd and 4th fastest over the two sessions respectively. Qualifying was a very close affair, with 0.687s separating the top 10 on what is the longest track of the championship. Starting the real racing in 4th place, Jordan Cane managed to pick up a place and take another podium finish in 3rd place. Starting in P6, Jamie Chadwick also made up one place and finished in 5th. Overall, a good result for the team, two drivers in the top 5. The main focus was the start and we all seemed to bog down because of the grip, and it was really hot. 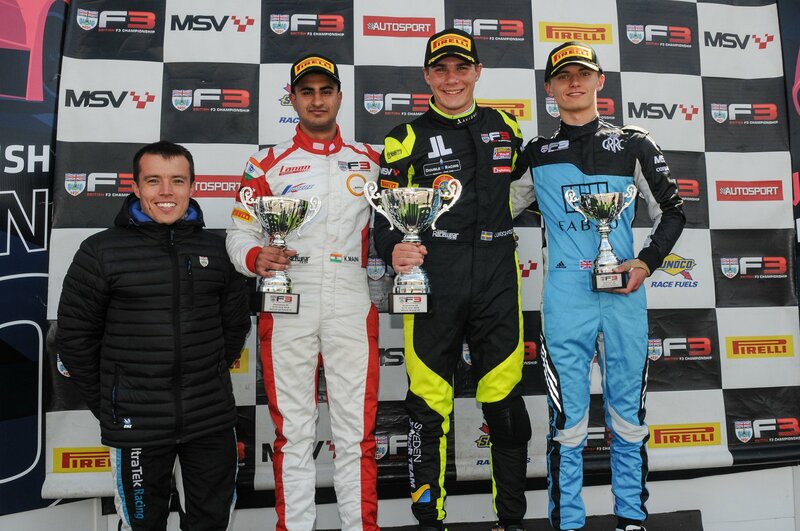 If I’d had a better start I could have got Maini as well but then I was focussing on staying with Linus and Kush as I saw Maini was on a full set of new tyres while Linus was on two, same as me. We set the second fastest lap time while I was running in clear air and it was a good race, a big thanks to Douglas Motorsport for giving me a strong car and it puts us in a good position for tomorrow. I was close enough to them where if they scrapped a bit more on the last lap maybe I could have popped a move, but I had a big gap behind me and I was hoping they’d fight a bit more but it is what it is, and I go home with another trophy. The second race of the weekend saw the grid reversed. This season the reverse grid race have given a real advantage to those who wouldn’t normally be challenging for the lead, and that was confirmed in this race. Cane placed 8th, Chadwick 9th and Esmaeili finished in 12th position. The next round promised much but did not deliver what we expected, Cane produced another 5th place to add to his podium in race 1, a good weekend for Cane. Chadwick finished in 13th with Arvin Aesmeli in 15th. All drivers and the team will be working hard to improve on these results in rounds 13,14,15.